Tattoos are more than simply drawings on the skin-they're small works of art! 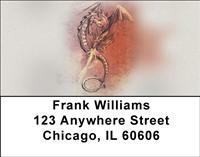 A true tattoo artist is able to take a customer's wish and bring it to life in an image that will last a lifetime. A good tattoo is a marriage of the artist's imagination and the wearer's personality. In this beautiful check series, tattoo art comes alive in a way like never seen before. If you wear your tat with pride, then this series is a must have for you!